We understand that due to the high pace demand of businesses, the evolutionary answer of digital tools is naturally quite fast. However, most of the tools have their own evolutionary cycle, which is often chronologically non-linear. The paper-based process government is being replaced by automatized process management, most of which moving into the cloud and/or into much more protected environments. Such a rapid change in the digital environment magnets change in operational attitudes and culture as well, just to name a few: digital office, multitasking, video meetings, online document sharing, home office, integration of maternity returners, prompt data gathering, quicker decision-making process. These data is being received through software interfaces. Why is it good for a client? With some process enhancements and realization of what data available and where, you can also avoid time consuming manual compiling, or be able to turn unstructured data into a structured form, leaving extensive excel editing hours behind. 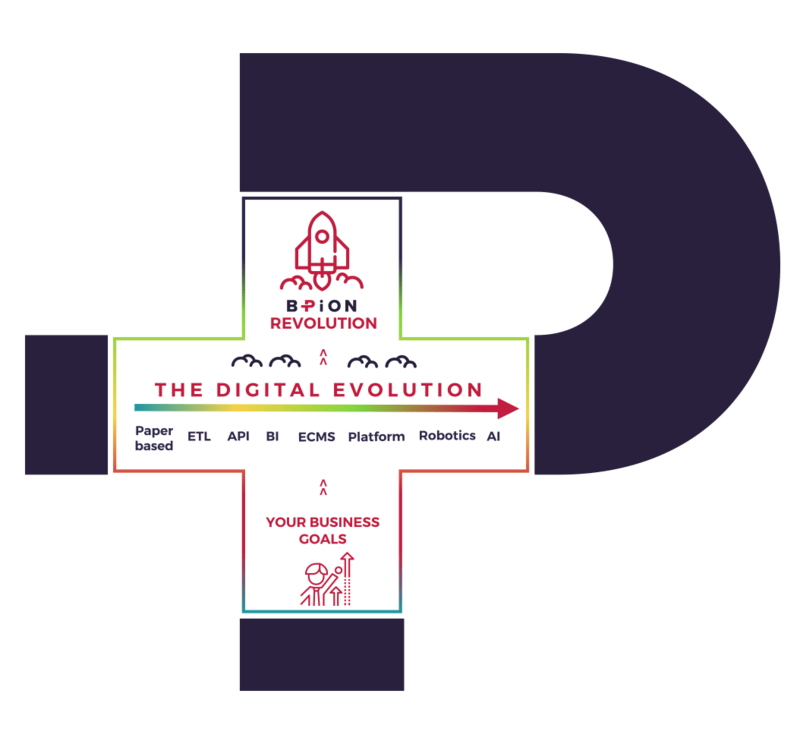 However if you are just one-two steps earlier in the evolutionary phase and feel that there are systems where the barrier of no back-end access holds you back, while your process is bulk in volume or expensive to run, we would be happy to identify and resolve via RPA, as ROI may exist. Answer some questions regarding your company culture and digital tools you are using, then discuss how can it be the next step on your journey of the digital transformation. Do you need a trusted partner who you can rely on in managing your outsourced business processes?